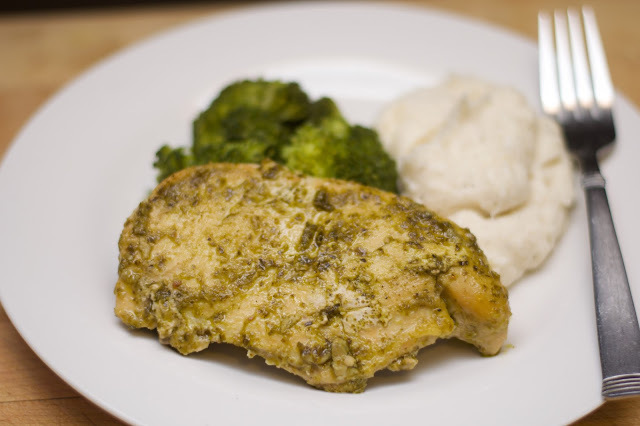 As I was researching ideas for Crocktober one recipe that kept coming up over and over was this Crockpot Pesto Ranch Chicken Recipe. Now I was a bit skeptical about this one, but O-M-G this may be one of my most favorite recipes ever from the crockpot! Place your chicken on the bottom of the crock pot, in a single layer. Next, in a mixing bowl, combine the pesto sauce and ranch mix. Pour over the chicken until all the pieces are coated. Place the chicken on the bottom of the crockpot in a single layer and season with salt and pepper. In a small bowl combine the pesto, ranch mix, and chicken broth. Place the lid on the crockpot and cook for 5-6 hours on LOW. This was so good! 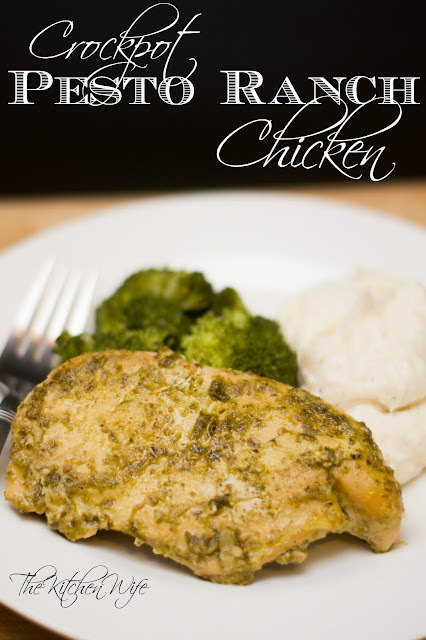 I used chicken thighs and it was so tender and juicy and best flavor ever! I'm so glad you liked it! It really is a simple and easy recipe!! !